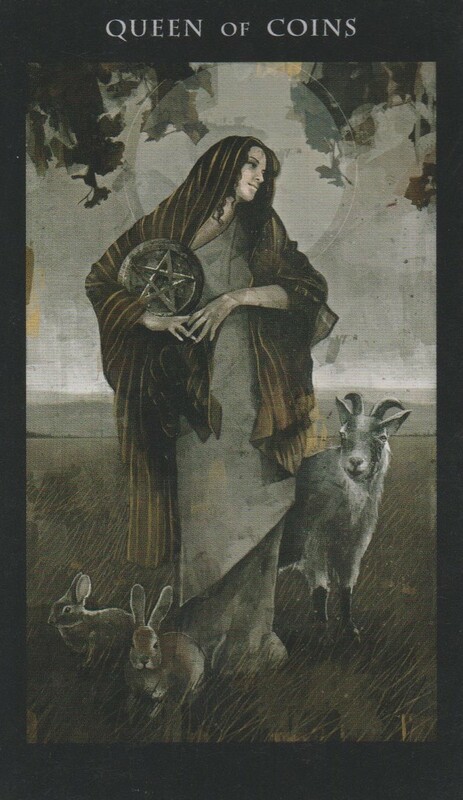 It’s the 49th week of the year and the card of the week is the Queen of Pentacles. The Queen is the ruler of her domain. She can grow just about anything from plants to her bank account. She is abundant and nurturing. If she doesn’t represent you the she represents someone who will be an important part of your week. There is a lot of Uranus energy this week and combined with Mercury Retrograde, it’s time to make room for surprises, but mostly of a good nature.The number of the week is 4, a number of stability. Mantra: In order to receive, you must first give thanks. 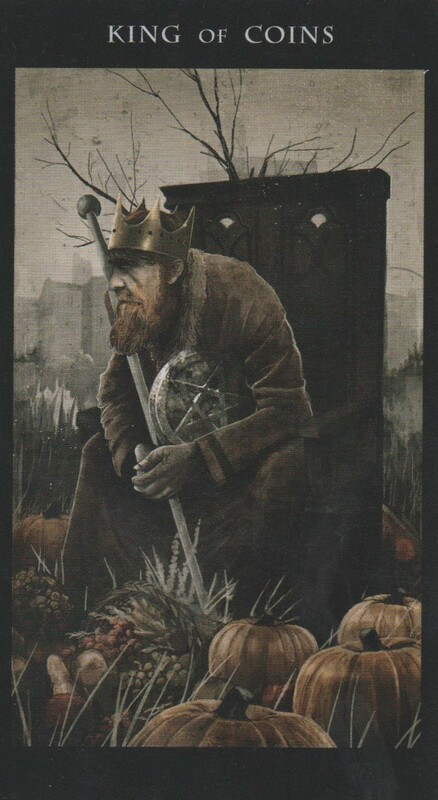 The King of Pentacles is a card of being in command of the material world. Abundance is yours Moon sextile Uranus at 4:37 AM PST is a transit that brings shake ups. But you have a firm foundation. Moon trine Mars at 7:57 AM PST is a transit of leadership and bravery. You’ll handle any challenges you come up against like a king. Moon opposition Saturn at 9:46 AM PST is a transit that puts you at odds with yourself. Give yourself the credit you deserve. Moon opposition Venus at 11:13 AM PST is a transit that then puts you at odds with your heart. So if you’re feeling this imbalance, simply just allow your feelings to come and pass. The Moon is in the dualistic sign of Gemini until 12:37 PM PST and She goes void of course at 11:13 AM. Remember, the world is not black white. The Moon then enters Cancer at 12:37 PM PST, so you will experience your feelings fully today. The number of the day is 4, a number reminding that you to use your strengths to hold up your weaknesses. Mantra: I traded yesterday for today and it was worth it. 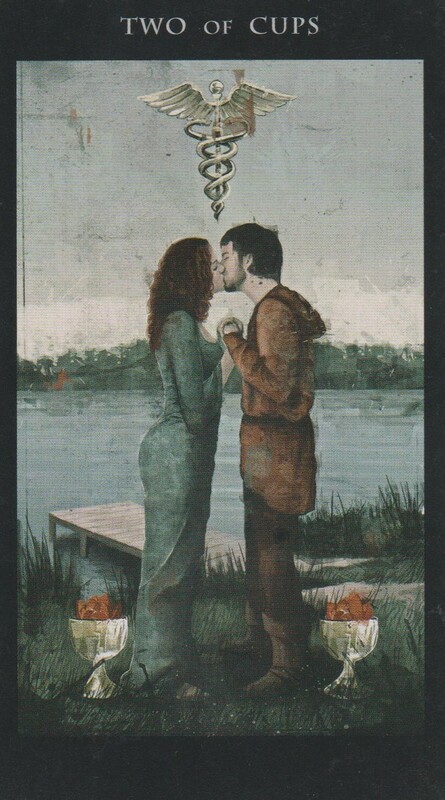 The Two of Cups is a card of the awakening of the heart. Has your soul ever just recognized someone and you knew it was destiny. Today, this feeling will come into play. If you have never experienced this, it could happen today. And if you have experienced this, something will remind you of why. Moon trine Neptune at 6:51AM PST is a psychic, intuitive. Let your heart lead the way to the connection it’s seeking. Moon trine Jupiter at 7:38 AM PST is a optimistic, generous transit. Take time to express gratitude for your journey. Moon opposition Pluto at 5:07 PM PST is a transit that brings the truth to light. You may hear something you don’t like, but your actions led to the result. The Moon is in the emotional sign of Cancer, bringing love flowing in. Mantra: Two of hearts together beat as one. 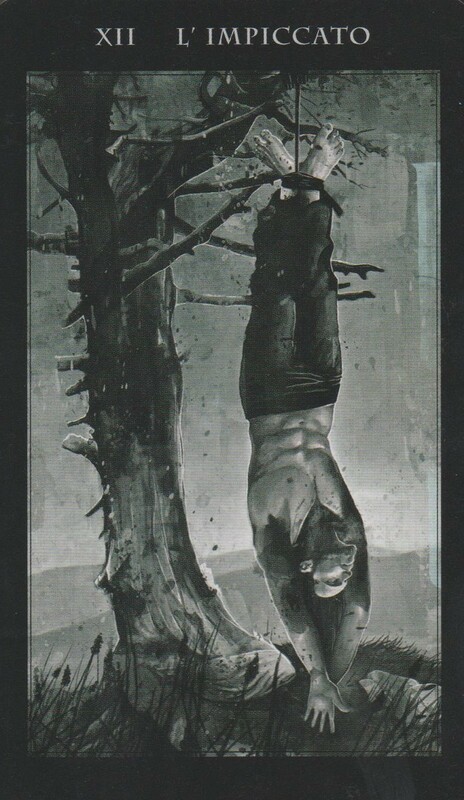 Be prepared for your perspective to be flipped today. Mercury conjunct Saturn at 4:05 AM PST is a transit that encourages you to proceed with care in whatever you do. It’s a delicate time and one false move can snap the chord you’re hanging on. Act in the best interest of the common good and you will not be judged harshly. Moon square Uranus at 4:17 AM PST warns us of the flash pan effect that will happen if you trip the delicate balance today. Mercury sextile Mars at 7:59 AM PST is a transit that allows you to sway the opinions of others when you act with integrity. If you have to say something, say it. Moon square Mars at 9:56 AM PST. Mars sextile Saturn at 1:21 PM PST is a transit of nose to the grindstone. Stay focused and you’ll go far. The Moon goes void of Course in Cancer at 9:56 so you may feel like you’re drowning if your hands are tied in a situation. Just lay on your back and float. The number of the day is 1(0), a number of endings becoming beginnings. Mantra: The knowledge you seek is closer than you think. Today strikes light lightening. The tension building from yesterday has snapped the rope of the Hang Man and in a flash, left you plummeting into the abyss. Moon trine Venus at 1:01 AM allows you to see the beauty in revelation. Moon square Jupiter at 9:10 AM PST is an egotistical transit. Be careful, someone may knock that crown off your head. Moon trine Sun at 3:15 PM PST is a transit of happiness, harmony and flow. Expect welcome surprises. The Moon is in the bright sign of Leo so when lightening strikes, enjoy the beautiful, white light. Mantra: Only you can choose your fate. 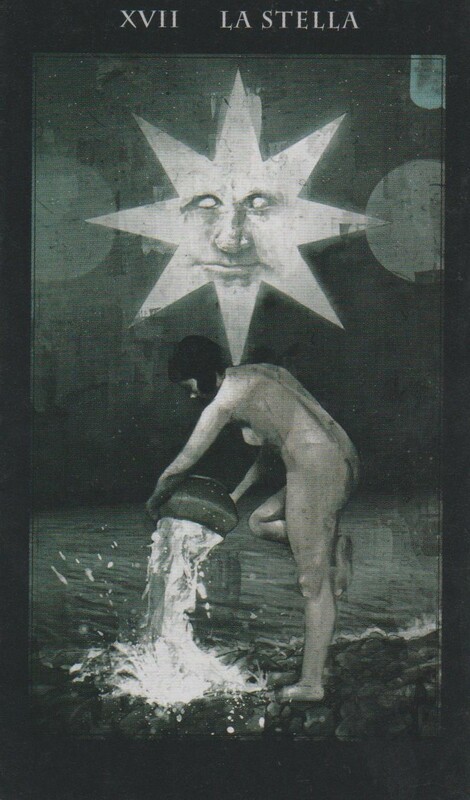 The Star is a card of hope and revelations. The storm has passed. Take a moment and look at the stars. Moon trine Uranus at 6:13 AM is a revolutionary transit that brings changes. Since Uranus rules Aquarius and the Star Card, look not to the past, but to the future. Moon trine Mercury at 9:20 AM is a card of flowing communication although things may come out much differently than expected thanks to Mercury Retrograde. Moon trine Saturn at 12:50 PM PST is a transit of forging ahead. The only way to go is up. Moon sextile Mars at 2:40 PM PST is a transit of bravery and leadership. The Moon is in Leo and where she goes void of Course at 2:40 PM PST. Then She will enter the sincere sign of Virgo. The number of the day is 3, a number of things coming together. Mantra: Look to the stars. 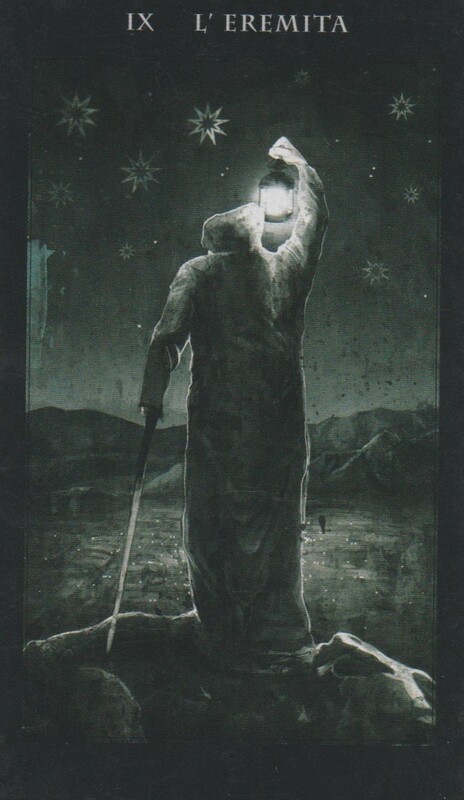 The Hermit is a card of looking back over where you’ve been. This week may have seemed like a journey because of all the things that happened but as the year winds to a close, it’s time to really congratulate yourself on all you’ve accomplished and ask yourself how you can shine even brighter in the year to come. Mars comes home to Scorpio where He will stay until 1/26/18. When Mars is in Scorpio, people will strive to get what they want and welcome challenges. Love during this time can be intense, sexual and secretive. Beware of manipulators. Moon square Venus at 9:37 AM PST is a transit of indulgence. Moon opposition Neptune at 11:29 AM PST is a transit that brings overwhelming emotions that may lead to paranoia. Whatever is nagging you is not as big as it seems. Moon sextile Jupiter at 1:50 PM PST will ease any fears you had and leave you feeling positive and upbeat during the afternoon hours. Moon trine Pluto at 11:11 PM PST is a transit that brings truths to light. Moon square Sun at 11:51 PM PST brings the Last Quarter. The Moon in Virgo will bring a detailed explanation for any truths you become aware of tonight. The number of the day is 4, a number of foundations. Mantra: You are the one you’ve been waiting for. 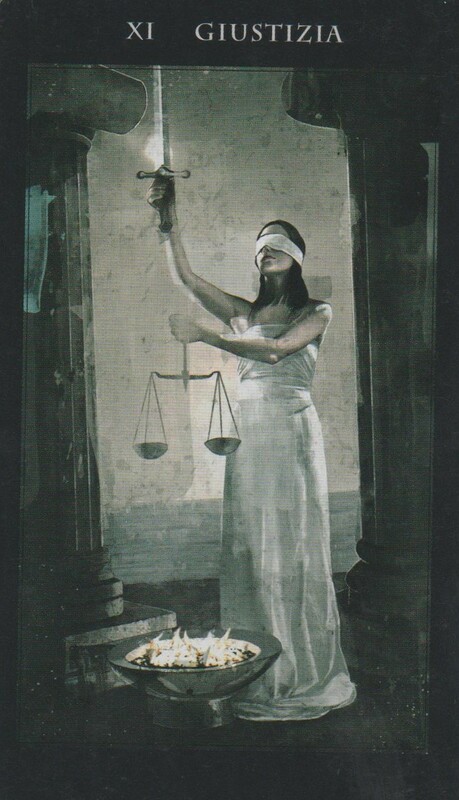 Justice is a card that means what it says: that what you do will come back to you. Mercury trine Uranus at 1:30 AM PST will remind you that anything that happens today you brought on yourself. Mercury trine Uranus at 1:30 AM PST is a transit that will awaken your senses and stimulate your mind. Today is all about having experiences that make you think. Any dialogue had today will be interesting and entertaining. Venus square Neptune at 5:48 AM PST may cause you to have unrealistic expectations when it comes to the people you care about. Remember, they’re only human. Moon square Mercury at 10:34 AM PST may scramble communication so if you find yourself having trouble expressing yourself, it’s best to take some time to collect your thoughts. Moon square Saturn at 7:02 PM PST is a sad, heavy transit. If the day took a turn for the worst and threw your karma in your face, know that it is time for you to live with the consequences of your decisions. The Moon is in the detail oriented sign of Virgo until 9:01 PM PST so people will be picky when it comes to details. At 9:01 PM PST, things will even out as the Moon enters the justice oriented sign of Libra. So things will play out as fairly as possble. The number of the day is 5, a number of overcoming hardships. Mantra: May the judgement passed be favorable. 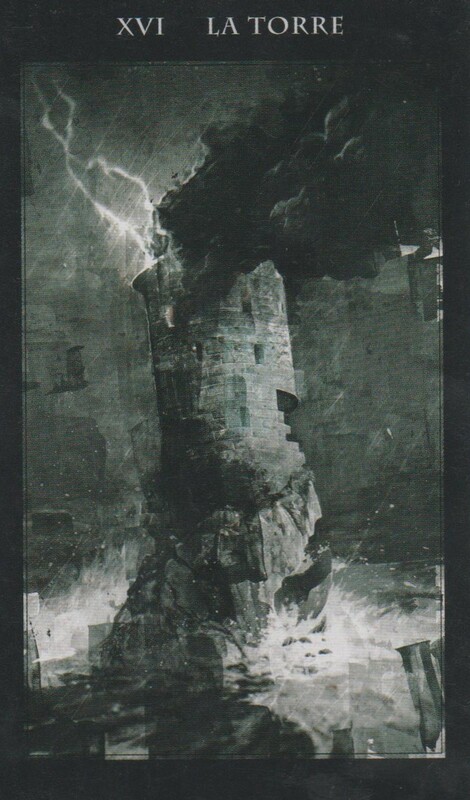 This entry was posted in art, Astrology, Dakness of Light Tarot, dreams, Mercury Retrograde, mysticism, mythology, numerology, occult, spirituality, Tarot, tarot class, Uncategorized, Uranus Retrograde, witchy, Writing and tagged abundance, art, astrology, card a day, divination, dreams, empowerment, inspirational, love, magick, manifestation, mantra, meditation, Mercury Retrograde, metaphysical, motivational, mysticism, numerology, occult, pagan, predictions, psychic, qabalah, self empowerment, self help, spiritual, spirituality, tarot, tarot reading, tarot weekly forecast, wicca, witchcraft, witchy, writing. Bookmark the permalink.